Every now and then I get a really interesting letter. This one I particularly like because not only does it come up with some really interesting ideas on stove design, it also demonstrates both a true pioneering spirit, and a generosity of spirit. The letter and links come from Dale Lerum in the US. Dale has spent a lot of time and effort experimenting with, and evolving a clever design of stove called a "Rocket Stove". What I like, apart from the great bunch of ideas, is Dale's generosity in sharing all he has learned with the world. Dale is maybe considering, in the next year, setting up some classes / workshops where participants can build their own stoves constructed mainly from scrap materials. That type of practical class - with a product at the end of it - would make a cool summer-camp focus. Below I will reproduce most of Dale's letter along with some stills from his videos showing the stove and some of it's evolving features. Thank you so much Dale for sharing your ideas and efforts. 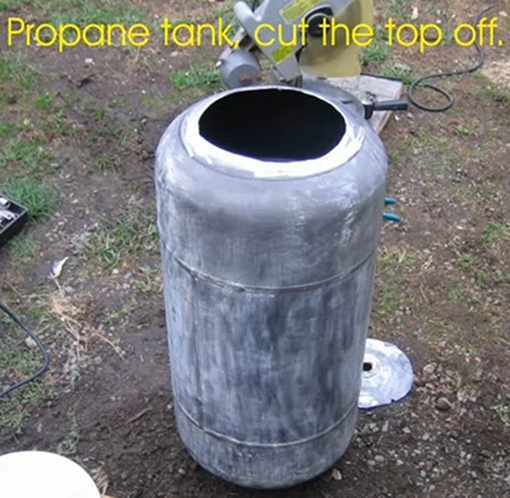 I first have to say I found your blog originally on Rob's blog in where he had built a rocket stove heater out of a water heater tank. I adapted his idea and scaled it down for my RV, motor home that me and my wife have been living in now for two and a half years. Since then I have completed some modifications to change the stove so that I would not have to feed it every thirty minutes, read your article on the pipsqueak. I am convinced that smaller is better and that there are ways to not only have a small stove, but as well to have very large BTU outputs with less fuel. I already have plans for a stove I plan on building that will have a very small foot print, which will burn wood pellets as well use logs if wanted. With my modifications changing the copy of Rob's stove at iwilltry.org, I have increased my burn times from thirty minutes to over an hour with such even heating of the stove and as well great heat out put, and I believe I am using the same amount of wood as in the old stove if not less and getting greater returns. 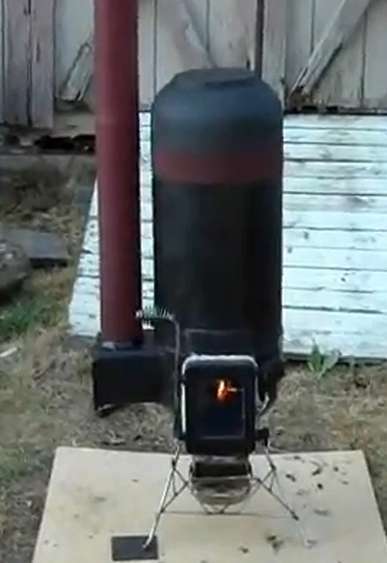 Me and a few fellas are planning on setting up a blog to converse about our ideas for new designs, my goal is to build the smallest stove I can, which will produce the longest burn times possible and put out the greatest BTUs possible. I have enjoyed your blogs, I am in full agreement with you on your position as to why you started you blog, here in America and really world wide what we have seen is a move by man in convincing the family unit to fragment, move away from self sustainability and into the factories and ship yards to indenture themselves into a form of slavery which wears a mask of improving quality of life for all. There has been improvement, yet in this we have enslaved ourselves. To what? A system - Economic Dependence - Electrical Dependence - Water, Sewer - food, etc. Below are two links, one for my early copy of Robs stove, the second link is where I have made some modifications and am amazed at the BTUs I am now getting with very even over all heat transfer, compared to last year. I like you feel greed has driven society on all levels, and in part we have all been taught from child hood this is the way it is and how things are. We can keep this from propagating itself through innovation of devices and ideas that add quality of life for all. With that said as continue in my research and designs and testing I have decided to share them for all to use freely. I like what you said about being able to produce an efficient small wood stove and keep it priced fairly so most can afford it. I as well want to keep this in mind in my research and development, thanks so much for your hard work and sharing what you find. 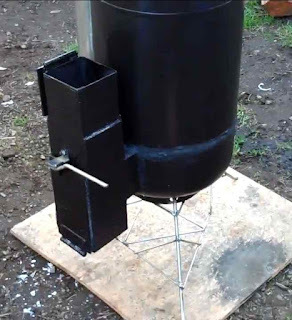 Very interesting, the rocket stove has good potential and I hope to build a rocket stove to replace my charcoal BBQ for camping.